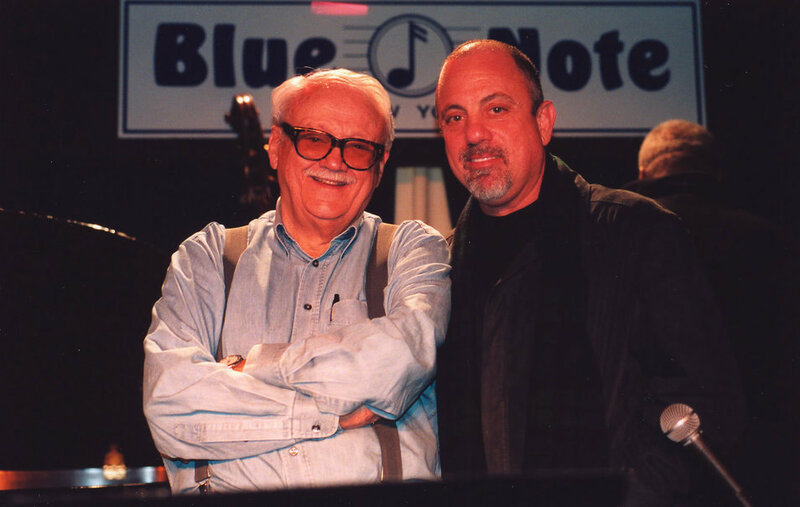 ​Toots Thielemans accompanies Billy Joel on "Leave A Tender Moment Alone" during Billy's 1983-84 tour. © 1983 Sony Music Entertainment. "Leave A Tender Moment Alone" is a sweet and lovely ballad that even the most cynical critic would find difficult to criticize. Musically, it reminds me of several types of genres. It is a jazzy tune, featuring the harmonica playing of highly regarded jazz musician Toots Thielemans (Bluesette). Natalie Cole even did a live jazz version of the song when Billy was honored by MusicCares (see snippet videos page). Yet it also recalls the theme music from those weekday afterschool TV specials in the 70s that aired on the ABC network. ​ And others have said it is done in the style of a Stevie Wonder ballad, perhaps because of the harmonica. It also sounds vaguely French or European as well, and is reminiscent of Billy's other European-sounding songs such as "Vienna," "C'etait Toi" and "Through The Long Night." The harmonica solo by Thielemans does recall the accordion solo by Dominic Cortese in The Stranger's "Vienna." "You've got to leave a tender moment alone." But Billy recently said on SiriusXM radio that the rhythm to the song was like a Burt Bacharach song such as "What The World Needs Now." He expressed his fondness for Dionne Warwick songs like "Walk on By" which was written by Bacharach with Hal David. When I heard this, it suddenly made a lot of sense though I think the song is closer to The Carpenters' "Close To You," also written by Bacharach and David. Listen to Billy discuss it (click player, right). Billy discusses "Leave A Tender Moment Alone" from SiriusXM. ​Photo by Dino Perrucci. Click to enlarge. The message of the song is straightforward, leave a tender moment alone. Don't make a wisecrack, don't tell a joke, just let that tender moment linger. It is not awkward. One feels like Billy is singing this to himself since he is always one to make a wiseass remark or self-deprecating comment when he does something beautiful or sublime. But here, he did not. It is a lovely song. See Billy explain the message of the song in the video below (left). "Leave A Tender Moment Alone" is a nicely paced ballad with a syncopated beat that you will keep playing in your head well after the song is over. I can hear it now. 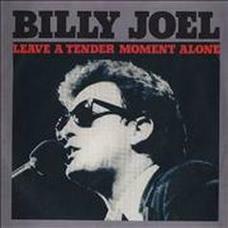 Billy discusses "Leave A Tender Moment Alone" on New York Hot Tracks from 1984 at 6:57. Toots Thielemans performs "Leave A Tender Moment Alone" on Late Night with David Letterman from the mid 1980s. He covered "Honesty" on his 1979 album, Apple Dimple. Listen to it here (external). See more videos at Leave A Tender Moment Alone - Videos Page.